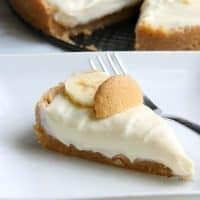 Banana Pudding No Bake Cheesecake has the flavors of a classic and the form of a cheesecake that you will love this dessert mash up! 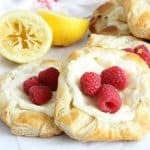 So excited you guys are here for my final day for Summer Desserts Week! 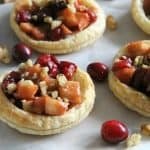 I had so much fun making these desserts! I hope you have enjoy this cheesecake and these other recipes, Mixed Berry Fruit Pizza, Strawberry Sour Cream Pound Cake and Mixed Berry Crisp! 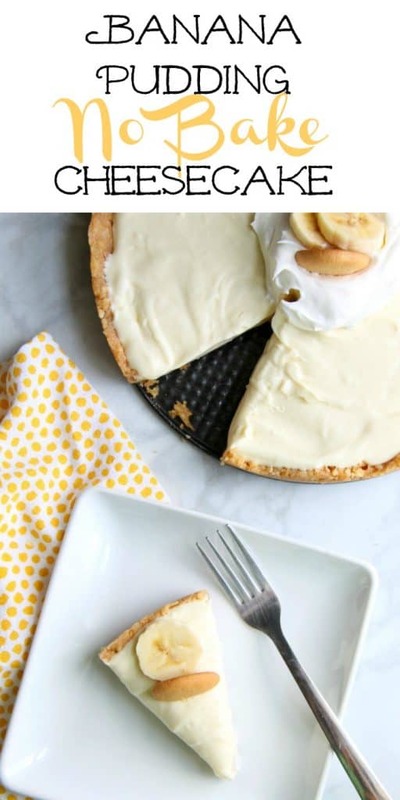 For this recipe I decided to go with a no bake treat! I did however, manage to use my favorite ingredient in this one, Dixie Crystals Sugar! 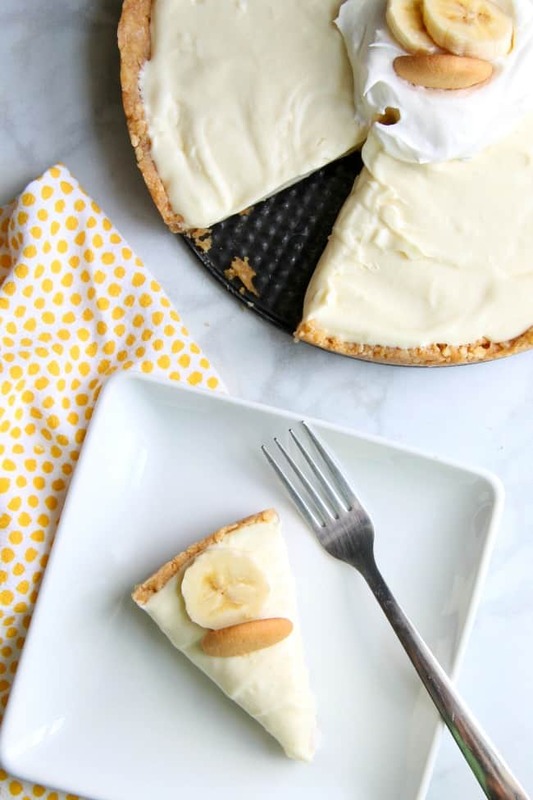 It is the staple of sweetener in this cheesecake but helps bring out all of the flavors of the bananas, the crust and cheesecake! Put graham crackers and vanilla wafers in large plastic bag and crush with a rolling pin till fine crumbs form. Pour crumbs in a small bowl and add butter and Dixie Crystals Sugar. Stir till well combined. In the meantime add cream cheese and mascarpone cheese to your mixer. Slowly add in the condensed milk a little at a time. 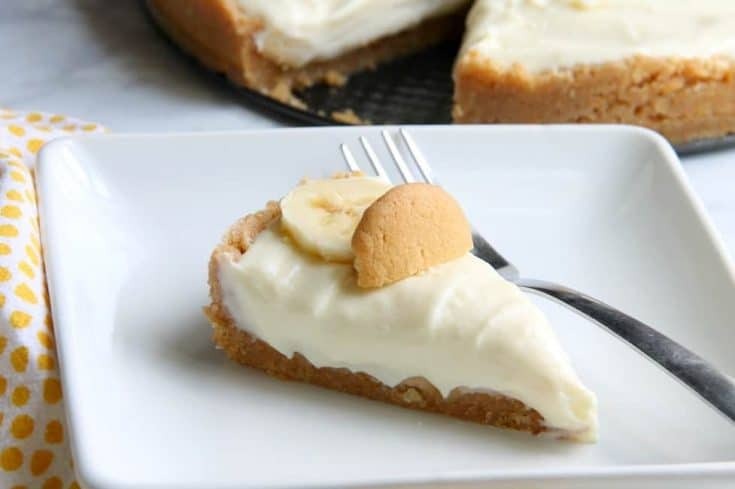 Add sliced bananas to the top of the crust. Pour in mixture. Place in refrigerator for 3 hours. Oh my gosh I want a slice so badly! I need no-bake recipes as the highs are going to be in the 90s this weekend. I feel like the temperature outside is roughly the same as the face of the sun! 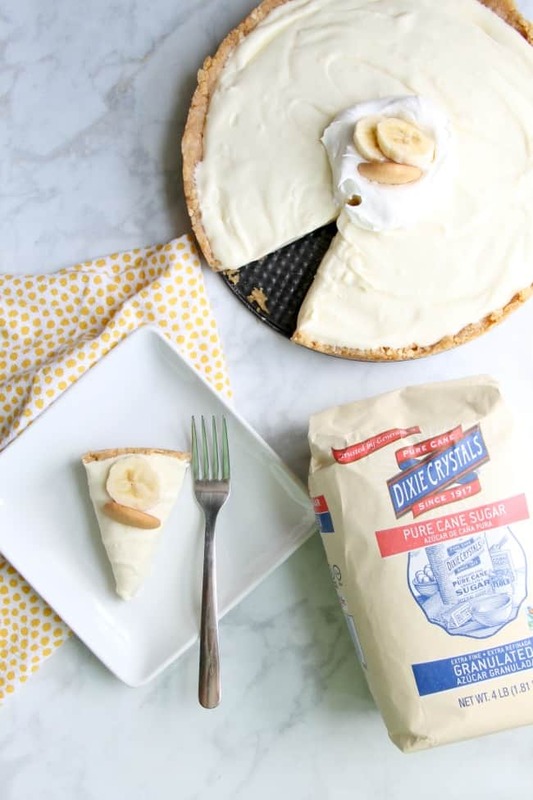 A no-bake dessert is the PERFECT answer! OMG! 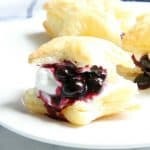 it is great food blog, This blog is great help for us. 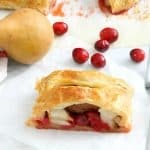 I really enjoy this for made this recipe. Thank you so much.